Over 3,600 followers of @pharmaguy have completed the Pharmaguy™ Follower Survey as of October, 2015. The results of the survey, which offers a profile of followers, is summarized in the charts below. Access a more detailed and up-to-date online Summary of Responses from respondents here. If you are a follower of @pharmaguy, you are welcome to take the survey yourself: here. 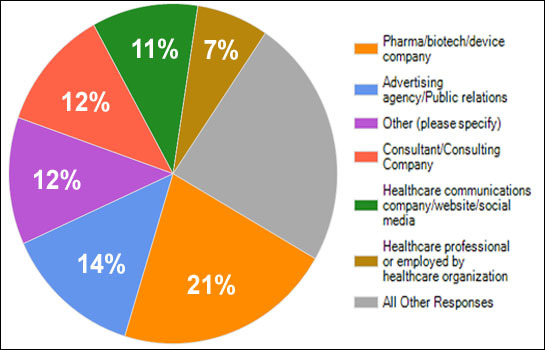 Respondents were asked “Which best describes your professional or organizational affiliation?” Choices included: Publishing/Media, Pharma/biotech/device company, Marketing services company, Healthcare communications company/website/social media, Medical education company, Advertising agency/Public relations, Other product/services company, Consultant/Consulting Company, Healthcare professional or employed by healthcare organization, Consumer or patient or general public, Teacher/student, Other. The top 6 choices are shown in the chart below. Access a more detailed and up-to-date online Summary of Responses from respondents here. 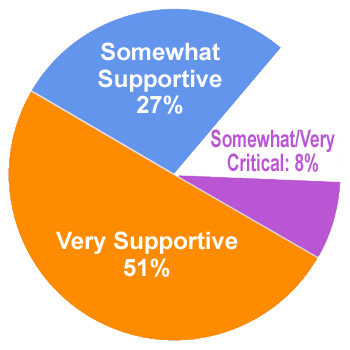 The vast majority (nearly 80%) of Pharmaguy™’s Twitter followers are supportive of the pharmaceutical industry, according to this survey. Access a more detailed and up-to-date online Summary of Responses from respondents here. 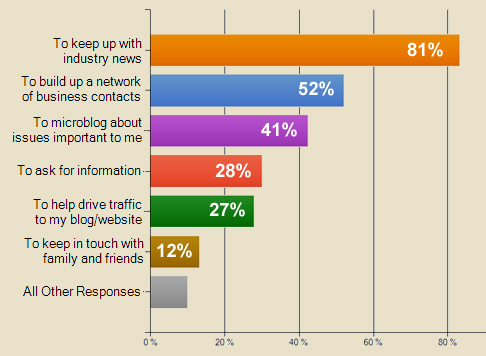 Respondents were asked “Why do you use Twitter?” They could select one or more choices that were most relevant. The top 6 choices are shown in the chart below. Access a more detailed and up-to-date online Summary of Responsesfrom respondents here. 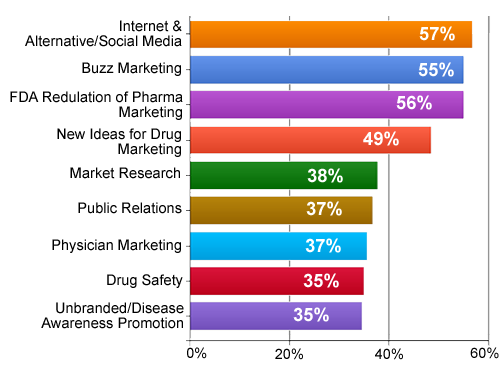 Respondents were asked ” What topics related to pharmaceutical marketing and sales are you most interested in?” They could select one or more choices from a list of 17, plus add their own. The top 9 choices are shown in the chart below. Access a more detailed and up-to-date online Summary of Responses from respondents here.